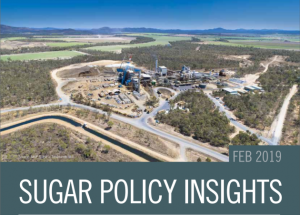 Sugar Policy Insights outlines key policy and market issues of importance to the viability of Australia’s sugar industry. The February 2019 edition poses the question ‘Where next for Australian raw sugar?’ and takes an indepth look at the need for an industry-wide Revitalisation Strategy. Sugar Policy Insights also looks at the Indonesian sugar market ‘in focus’ and CEO, David Pietsch outlines ASMC’s federal election priorities. 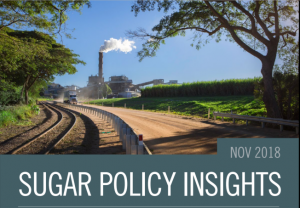 The first edition (Nov 2018) of Sugar Policy Insights discussed the case against subsidised sugar and India: the need to challenge and reform. Both topics link to an ASMC commissioned, in-depth analysis on global sugar prices (8 November 2018). Sugar Policy Insights also discussed why the Code of Conduct fails the sugar industry (refer to the ASMC submission and supplementary comments on the federal Government Review process), and takes a look at the Japanese sugar market ‘in focus’.